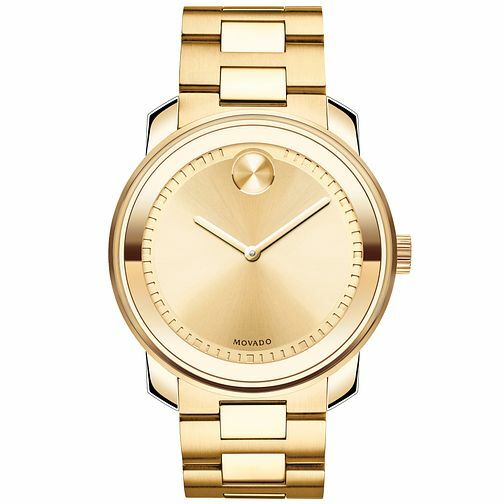 This sleek watch from the Bold collection perfectly exhibits Movado's signature minimalist style. Set on a yellow gold-tone link bracelet, the gold tone dial is finished with Movado's iconic dot motif at the 12 o'clock position. Powered by Swiss Quartz movement, this elegant timepiece offers excellent accuracy.